Back on September 3rd there were alot of Gold Bulls coming out of the woodwork. We had in fact publicly called for a low in late June here on TMTF for GOLD and we were right. Our Elliott Wave Analysis back then showed a bottom due to the 61% f ibonacci retracement of the rally from 300-1924, and the public sentiment and time cycles too. When we hit the September 3rd window, Gold had already hit 1434 from 1181 lows we forecasted and was backing off a bit. 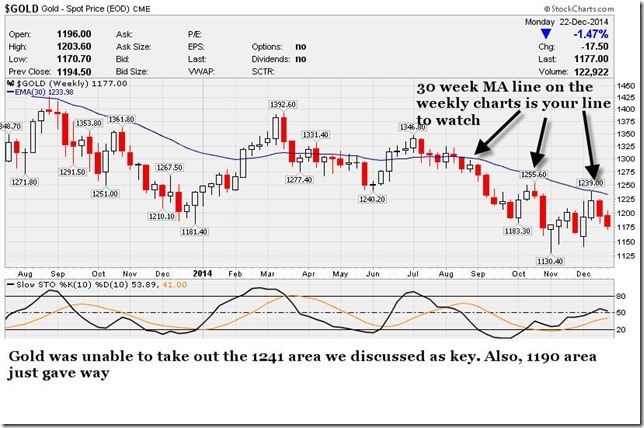 We cautioned that GOLD was due for a pullback to as low as 1271-1277 in this article here. We were right, as GOLD hit 1251 in fact, but mostly closing around the 1270 pivot before rallying again to the 1360 area. The Elliott Wave pattern suggested 1271 was a 61% fibonacci pullback area. Now on Oct 29th as we near the end of the Month, we have GOLD at a crossroads if you will. We see a few numbers as key for direction. 1379— This must be taken out on a closing basis and if so, we have GOLD continuing to the 1540’s. 1309- If this is taken out on the downside, we think GOLD could drop all the way back to 1100 per ounce in early December to complete a 2 plus year down cycle.